I love my cast iron cookware. In fact, all of my cookware is cast iron except one small pot Calvin already had and my pressure cooker. It’s no more work to clean than stainless steel and has lots of great benefits! 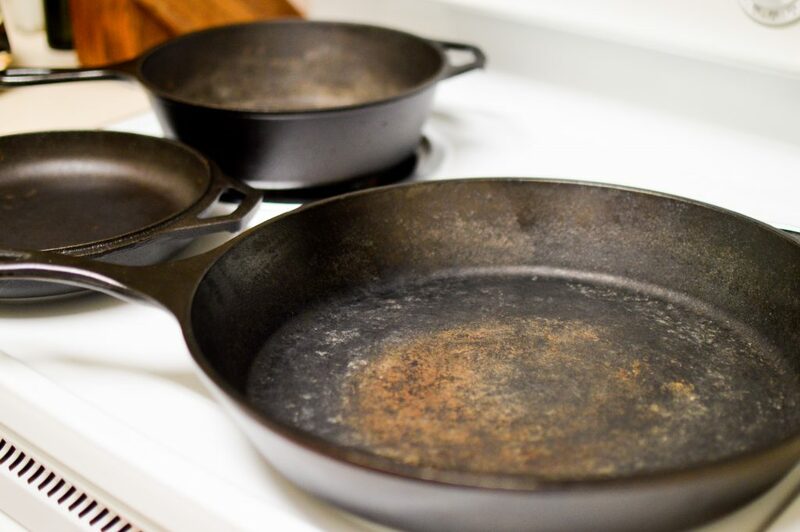 Cooking in cast iron helps increase your iron intake! It can be non-stick if you care for it correctly. 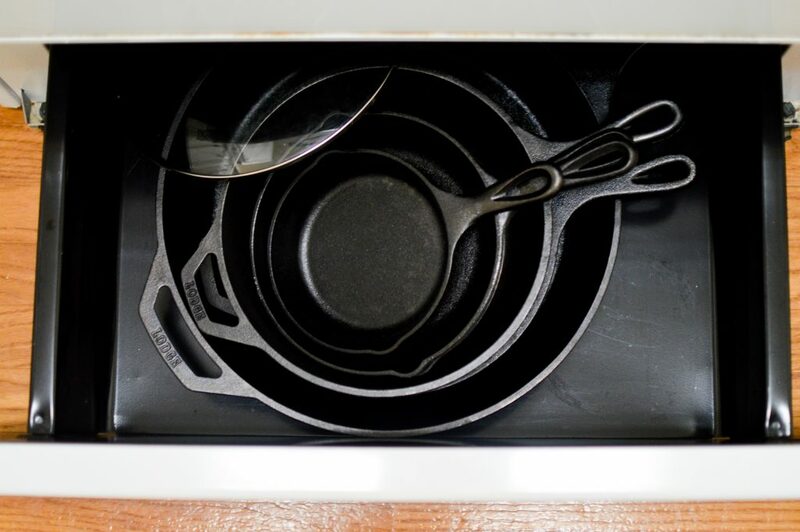 There are no toxins leaching into your food, unlike from aluminum or Teflon cookware. You can use it in the oven as well as on your stovetop. You can take it camping! I took our dutch oven on a trip and used it to cook our meals over the fire. It’s affordable! You can get all sizes on Amazon for as low as $9! Only use soap when something is super greasy. 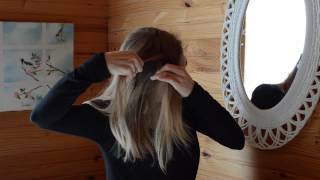 Dry immediately, or let air dry and follow the steps below to restore before storing. 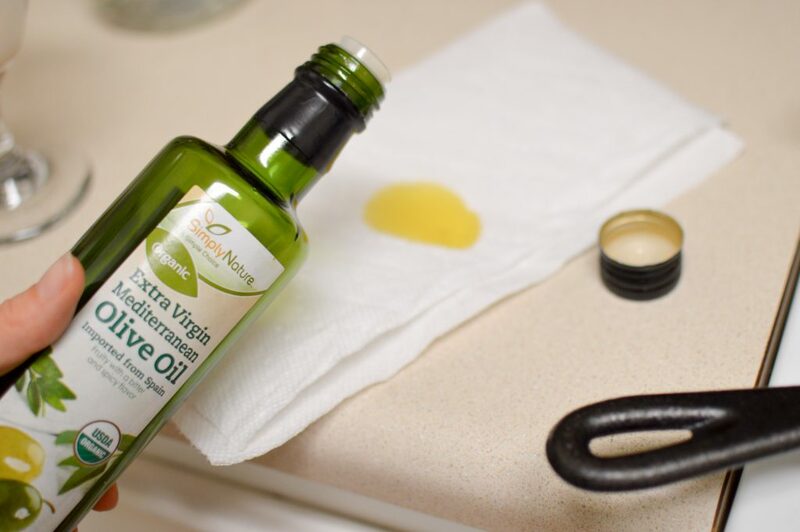 If I let it airdry, I simply pour a little olive oil on a paper towel and spread it over the surface. 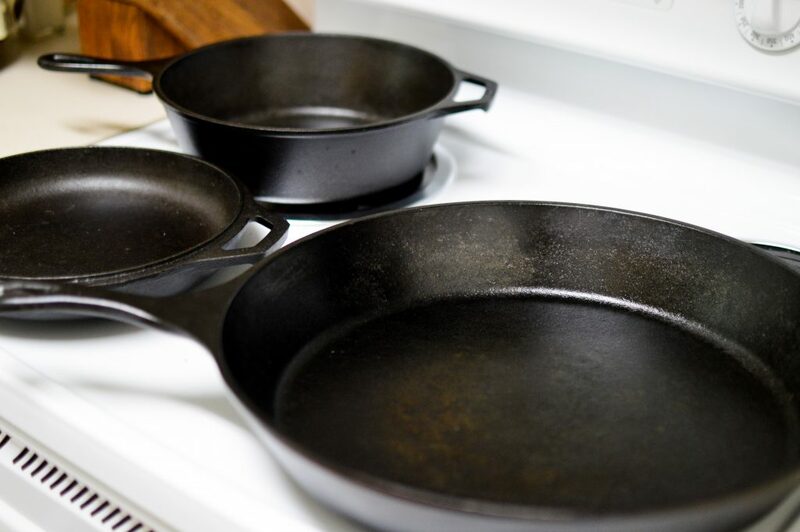 I have the following pans and find they work perfect for all my cooking needs! I’m so excited to see you blogging again! The first post I’d ever read of yours was the one about ethically made clothing, and it really resonated with me. Whenever I see “made in China (or whichever country)” tags, I pause to think about the industry and if the workers were treated fairly. The post has inspired me to think through my clothing purchases and I want to become even more conscious about it. I must have been nuts because I didn’t follow your blog immediately when I read the post a over year ago, but I’m delighted I rediscovered it and your Instagram this fall. 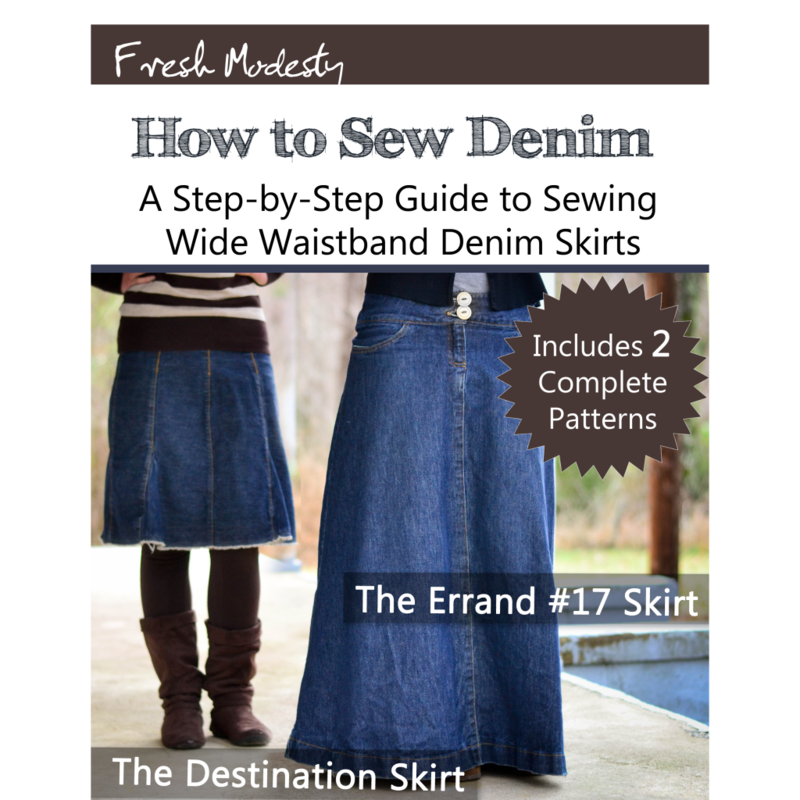 I’ve been wanting to get a denim skirt recently, and as you’ve said, there just doesn’t seem to be a modest, fashionable, and comfortable design out there. I’m really glad to have found yours. I want to get the ebook and sew my own as soon as possible. Also, I read all your posts on your and your husband’s story, and it’s really encouraging to see a couple around my age who are truly God-fearing and mutually building each other up. I cried when I read your wedding post; it’s a beautiful story. Thank for sharing so much of your special day us readers. P.S. To make this actually relate to the above post in some way, I love cast iron too! I have only a 12 inch pan, but I use it every day and hardly use any other pan/pot. It’s just so versatile and hardly an inconvenience to clean at all. I also love our cast iron pans! I’ve found that you can also use metal spatulas, just never rubber. I just wanted to say that you should never let cast iron air dry since it can go rusty very easily. It looks like this might have happened to the big pan in your top photo already? 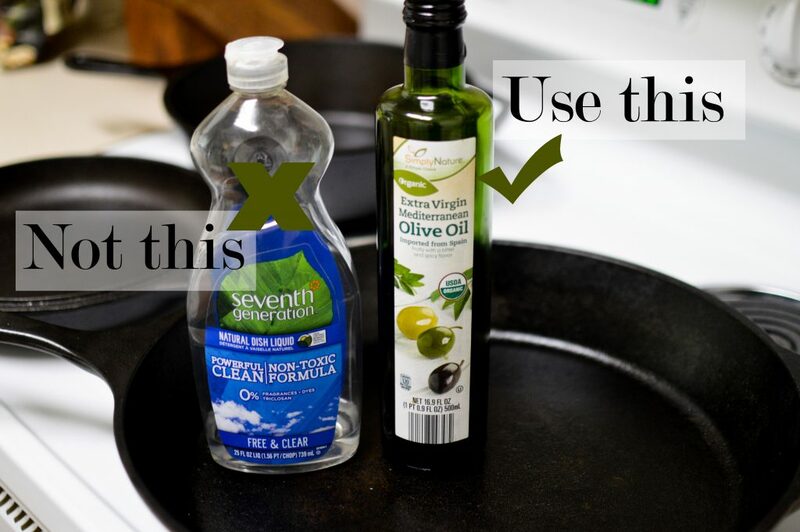 To help maintain the seasoning after drying your pan with a towel, rub some oil on it and heat it up again. 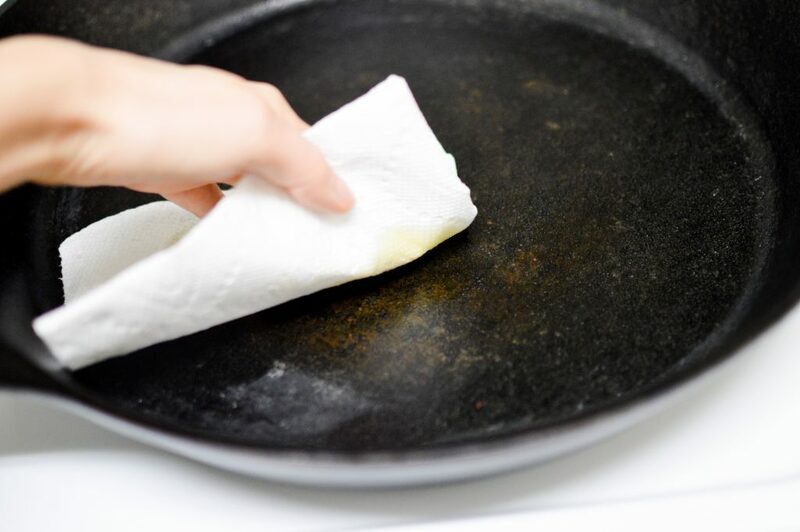 The heated oil will polymerize onto the pan, helping to maintain the non-stick seasoning qualities.